"It was a big blob of black clothing!" 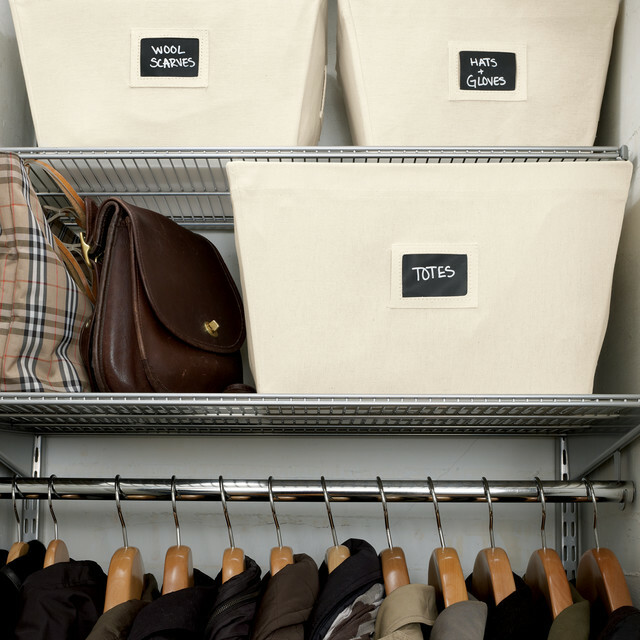 That's how our Regional Store Director, Robin, described her NYC bedroom closet. 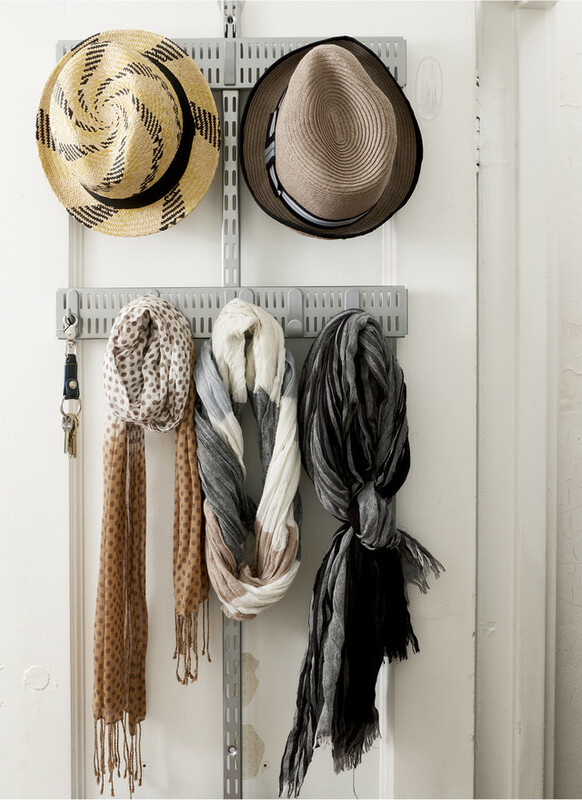 "Whenever I bought something new, I would just hang it on the door until I got around to finding a place for it." She says she kept wearing the same thing over and over again because she couldn't see everything she had in the space. 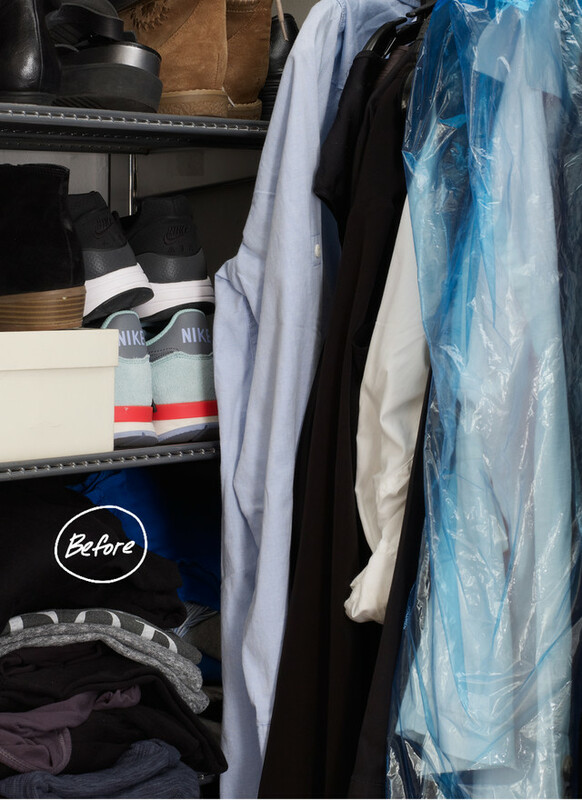 Robin says that the KonMari Method was instrumental in letting go, which made her trip to Goodwill for a donation a lot easier. Remember all those boots on the floor? 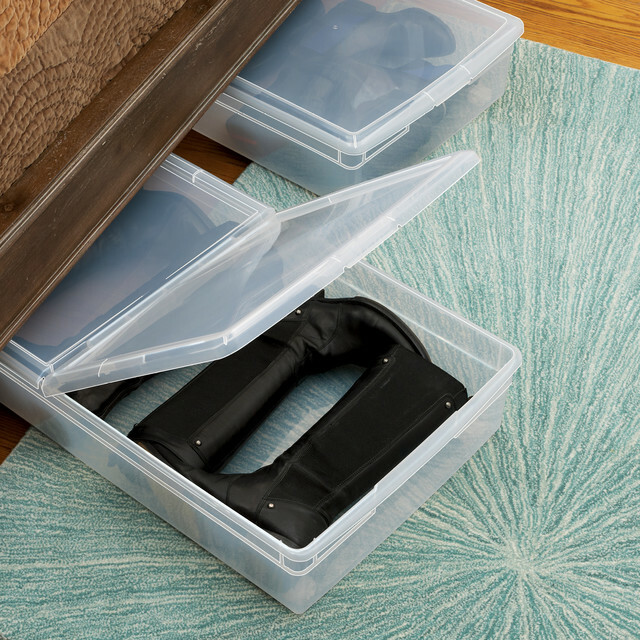 Well, our Long Underbed Box with Wheels gave Robin some much-needed storage for her boots, without taking up precious closet space. Even though it had been previously designed with elfa shelving, Robin knew better than anyone that it's good to reassess your space every year as life and seasons change. 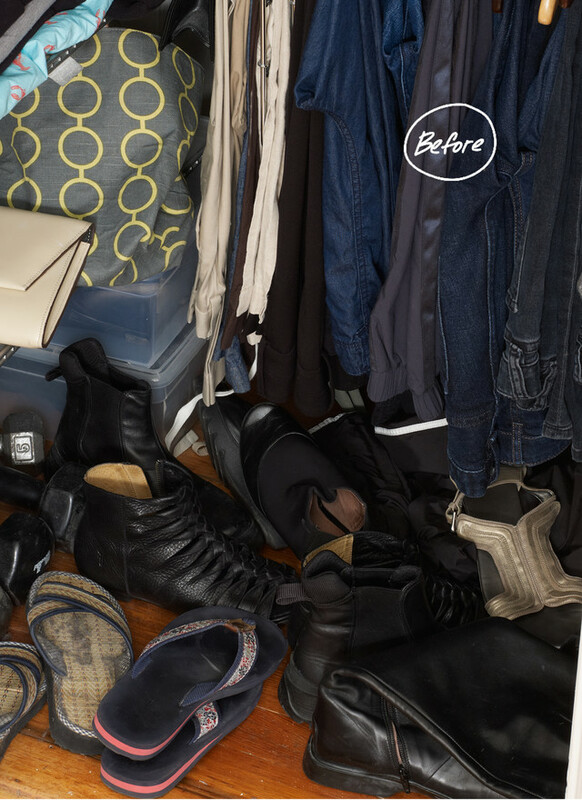 After assessing the contents of the closet and donating a plethora of items, the door that was once a chaotic jumble is now a space where she keeps only her favorite pieces accessible. 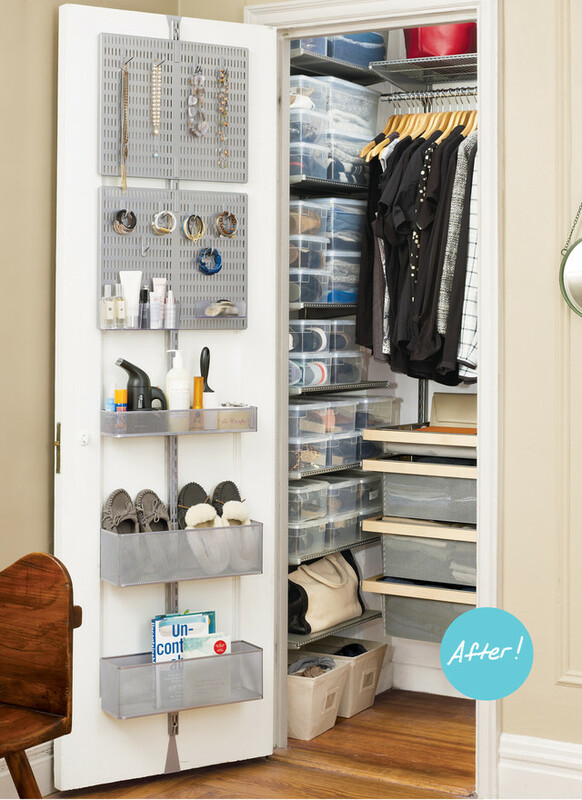 The addition of elfa Drawers, new Hangers and Clear Storage boxes make the closet a place that generates a smile every time the door is opened. A self-described fashionista, Robin has a beautiful collection of designer pieces that are very special to her. With this makeover, she wanted to ensure they were protected. Robin added our Cedar Balls to protect against pests and odors. 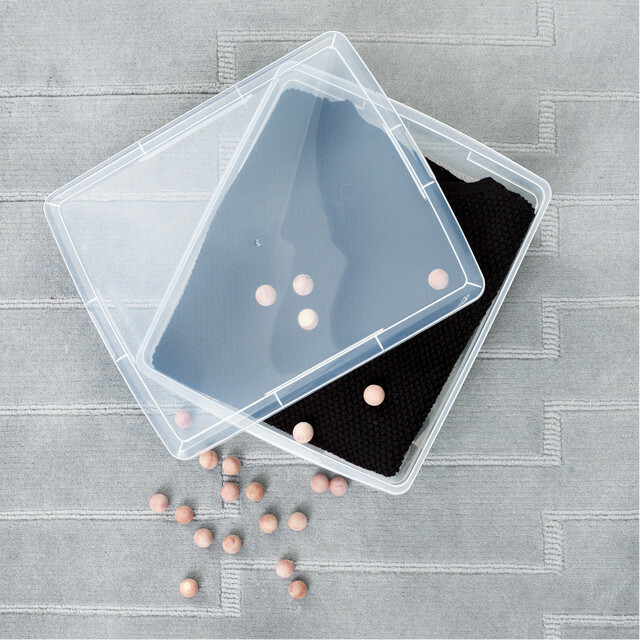 Robin now stores her clothes, shoes and accessories by season in Our Clear Boxes, which give her the visibility she lacked before. 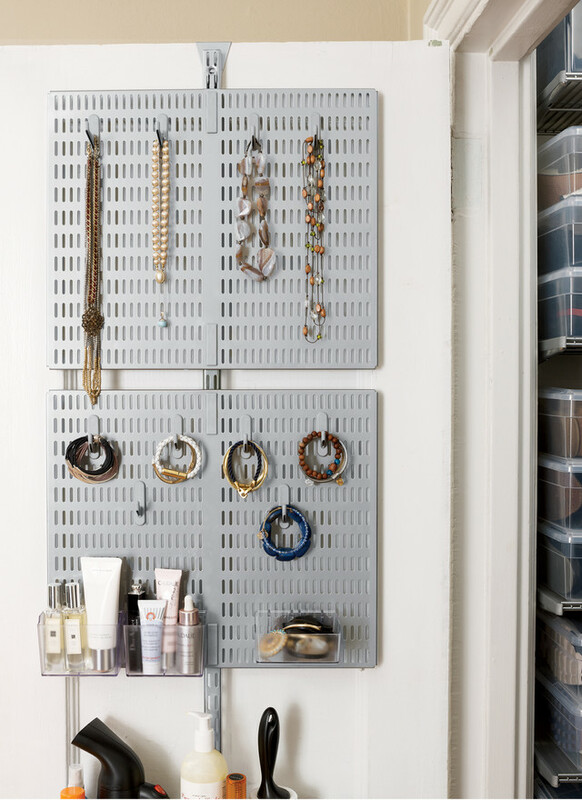 An elfa Door & Wall Rack was the perfect new solution for her jewelry. And Robin loves it! The pieces that she wears the most and are displayed there. 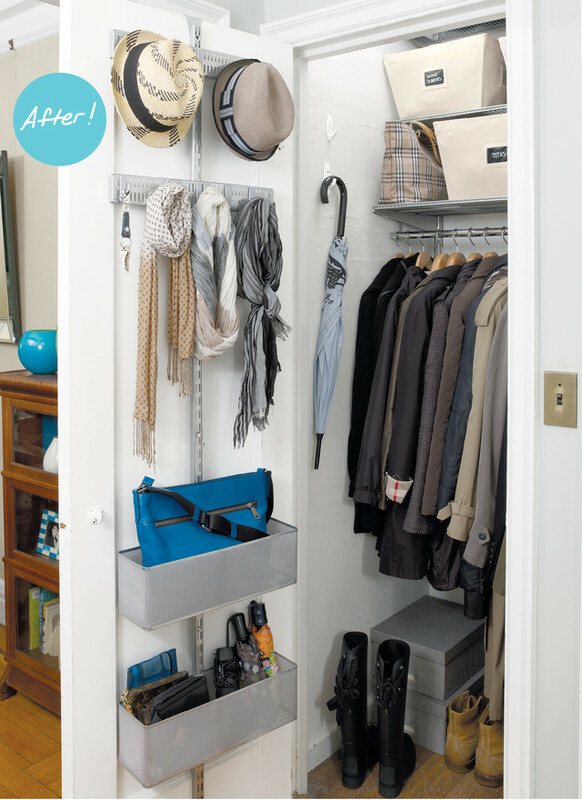 She says that now, her "daily routine" is on the door with her favorite go-to's easily accessible. Before, they were just a scattered mess in a box on her top drawer. What used to be a source of stress has been transformed into a place of love. And then it was time to spread the love to her entry way closet. Robin's aesthetic in the living areas of her Upper West Side apartment is simple, clean and pristine. But she confesses, "If I can put it behind a door and you can't see it - that's a different story." 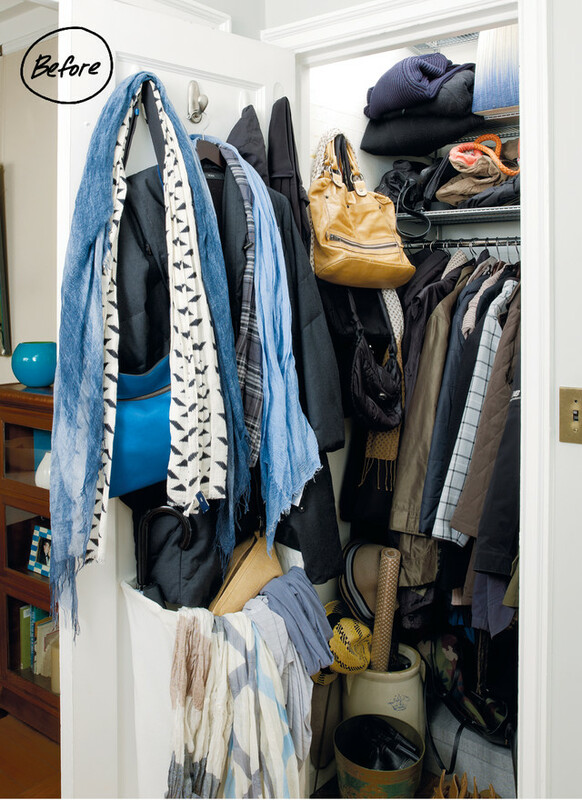 Robin's entry-area closet had become a cave for all of her cozy coats, scarves, cardigans and umbrellas - a closet for all seasons! 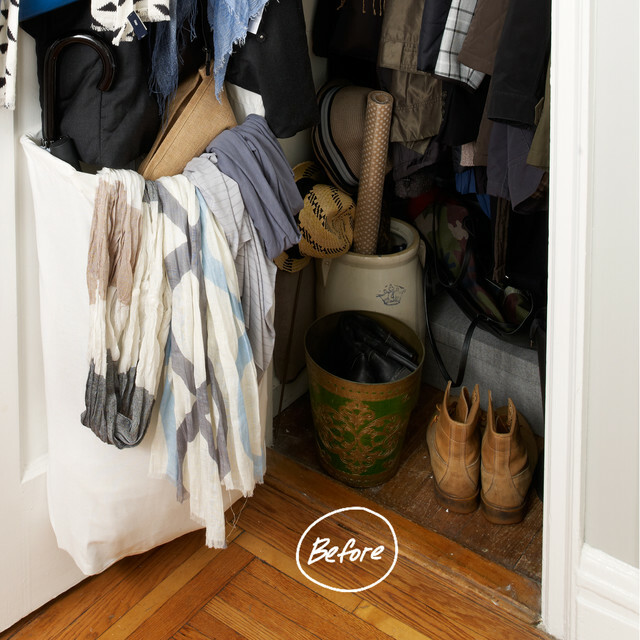 The coat closet needed a little facelift, and a review of what was inside was surprising. Robin says she really had no idea of what all was in the space. 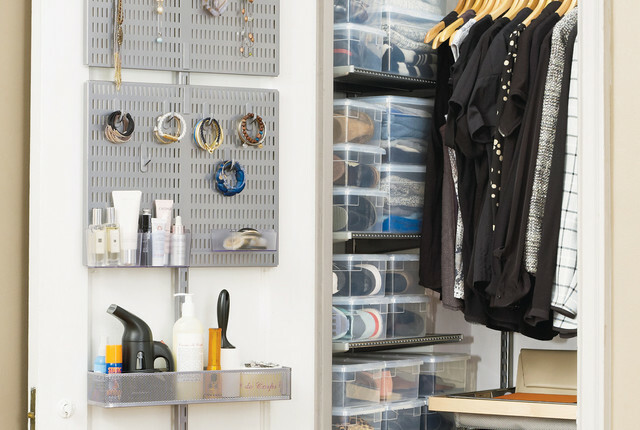 Again after going through the purging process and prioritizing the items that really were useful and meaningful to her, Robin's closet is now organized with intent and purpose. 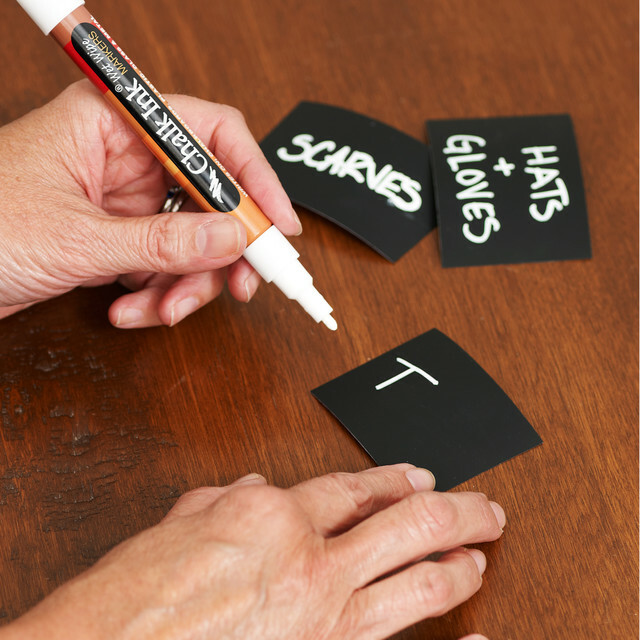 Labels make the contents of Robin's closet easy to find in our Open Canvas Bins. 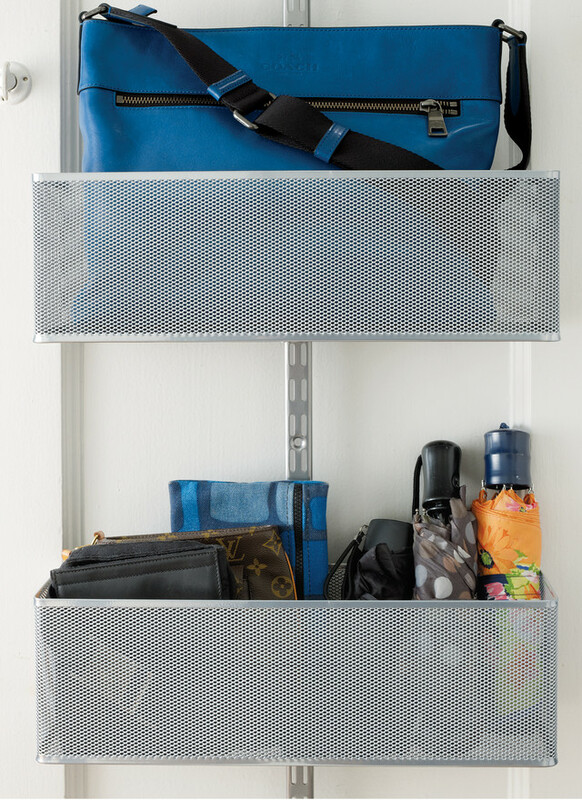 Utility Boards and Hooks hold all kinds of accessories. Robin says from a fashion standpoint, it's your accessories that define your style - but if you can't find them, now, that's frustrating! The door is the showstopper, and now houses her everyday essentials. It's the place where she immediately goes after work to put up her belongings of the day. The bins in the space are labeled, and because she can see everything in the closet, she wears more of the pieces that she had long forgotten she had. 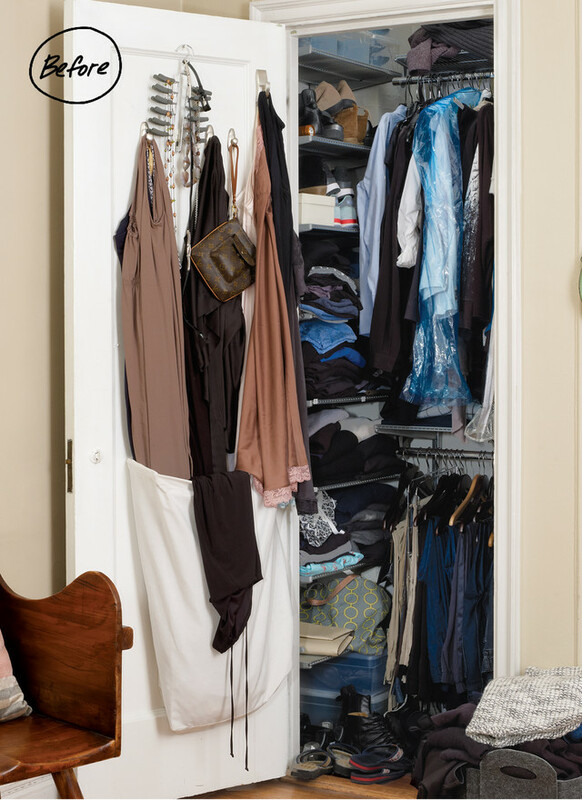 Now, the closet reflects the feel of Robin's calm, collected home - even behind the closed door!